This privacy notice explains the way in which the Garrabost Free Church of Scotland Congregation uses, or “processes” personal information. Personal information is any information, held either in paper records or electronically, from which you can be identified. Examples of personal information are your name, address, email address, telephone number, IP address, photograph or video image. The processing of personal information is governed by data protection law. “Processing” is anything that is done with personal information, from collection onwards. The Congregation, jointly with the Presbytery, is the “data controller” in terms of data protection regulations as we decide on the purposes and means of how your personal information is processed. Our contact details are provided below. To manage employees and volunteers. To maintain accounts and records, including Gift Aid administration. In relation to the provision of counselling and pastoral care. In relation to individuals participating in church events and activities, including children and young people. To provide information about church news, events, and activities. Generally, to further the charitable aims of the church. Only individuals appointed to specific roles within the Free Church of Scotland can access your data. We will not shareyour data outside the Free Church of Scotland without your consent, properly obtained, unless we are permitted or obliged to do so by law. Where the processing is necessary for the purposes of our legitimate interests, and such interests are not overridden by your interests or fundamental rights and freedoms. Where the processing is necessary for the performance of a contract with you. Where the processing is necessary for compliance with a legal obligation. 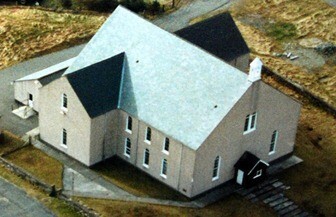 Processing is carried out in the course of our legitimate activities with appropriate safeguards by us as a not-for-profit body with a religious aim and on condition that the processing relates solely to our members, or to former members, or to people who have regular contact with us in connection with our purposes and that the personal information is not disclosed outside the Free Church of Scotland without your consent. You have given explicit consent to the processing of your personal information for one or more specified purpose. You are entitled to withdraw such consent at any time, using the contact details provided below. We are committed to ensuring that personal information is held and retained securely and in accordance with data protection principles. More specifically, we keep data in accordance with the guidance set out in our Data Retention Policy, a copy of which is available [specify where available]. You can request copies of the personal data which we hold about you, using the contact details provided below. If you believe that any information we hold about you is inaccurate or incomplete, please let us know so that we can have this rectified. You can request that we erase your data if there is no longer any need for us to keep it, although we may still need to retain it if the reasons why it was obtained still exist. If the only legal basis on which we hold the data is your consent, and you withdraw that consent, then we will erase your data on request. You can contact us by emailing garrabostfree@gmail.com or contacting David Murray, Session Clerk, Iain D Maclennan, Deacons’ Court Clerk or Iain Nicolson, Treasurer. You have the right to contact to the Information Commissioner’s Office on 0303 123 1113 or its website at www.ico.org.uk or at Wycliffe House, Water Lane, Wilmslow, Cheshire, SK9 5AF.